Hannes Jacob faced para-psychological phenomena ever since he was 18 years old. 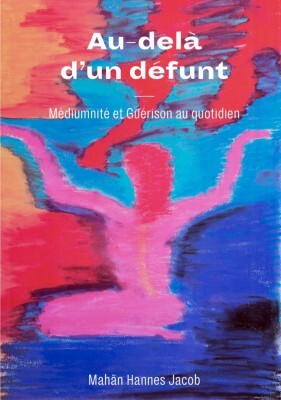 Having spent a certain number of years studying Eastern philosophies such as Buddhism and Hinduism, he began his work as a sensitive practitioner and energy transmitter and practices in Neuchâtel. He is the founder and owner of the well known “Frequences Swiss School of Mediumship”. He has been able to demonstrate, by means of ECG at several instances at Neurological Clinics in Switzerland and Germany, that his spiritual energy at a distance is capable of causing distinct variations in the EEG periodical diagrams of patients. For many years he has been working closely with the medical community. He has taken part in a great number of tests in institutions and hospitals specialized in neurological research, particularly focusing on the transcription of his cerebral frequencies in a healing situation. According to the medical statements describing these EEG experiments these frequencies are clearly similar to those of a person being in a deep sleep or in a serious pathological state similar to an epileptic crisis or to certain types of coma. Furthermore medical doctors working with him have confirmed that he controls different states of consciousness, being able to reduce his brain activity to a Delta State within seconds. Recently he was analyzed at the Psychiatric Clinic of Tübingen, at the laboratory for Psychophysiology and Imaging. 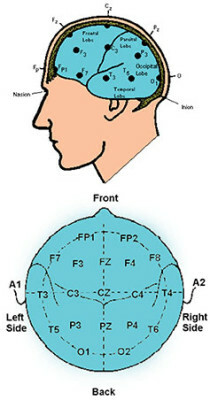 It is relevant to briefly describe what was found out during a session where EEG and N.I.R.S were combined. As reported in an N.I.R.S. report (, N.I.R.S. Bericht über Hannes Jacob, 2012), in the phase of actively altered consciousness, unexplainable hemodynamic activity can be detected in the right temporal lobe. In the case of passively altered consciousness, say in “speech in trance”, elevated Alpha-power in temporal-parieto-occipital brain regions can be detected as well as a very high frontal Delta-component. This is all the more surprising as the spoken discourse in the trance phase is coherent and meaningful. The author has empirically proved that he is touching the patient with his energetic treatments. In a combined EEG study the treated patient has shown very distinctive changes in his EEG while being treated by the author. It should be noted that during this treatment the patient was in another room at the hospital (see ). Furthermore the patient was not informed about the time slot during which he would be treated. Nevertheless his brain reacted within the same second during which the treatment began.